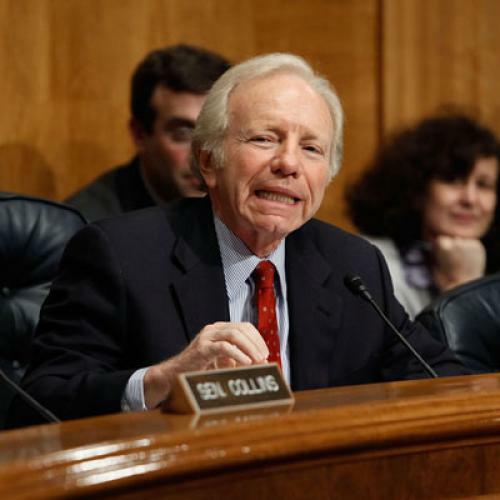 Joe Lieberman has become the Balloon Boy dad of the Senate Democratic caucus, a fame-whore so addicted to media attention that he hatches ever-more-desperate and risky schemes that sell out his "family" to earn press attention. It's a catchy lead, but I think this misdiagnoses Lieberman's motivations for his filibuster threat on health care legislation that includes the public option. It's not that he craves attention (at least not more than any other politician); it's that he's mad at his "family"--for his 2004 presidential defeat and for his 2006 Senate campaign--and is trying to get back at them. The big question for Democrats at this point is whether there's any way to help Lieberman get over his obviously bruised feelings. Last November, after Obama, Reid and other Democratic bigwigs went to bat for Lieberman and urged Democratic Senators not to strip him of his Homeland Security Committee chairmanship as punishment for his McCain endorsement, Lieberman seemed genuinely humbled and grateful. But that feeling has obviously passed and he's back to nursing old grievances. Having tried to kill Lieberman with kindness, I think it's probably time the Democrats resort to more coercive measures, like outright threats. Which is what Tom Harkin is doing when he suggests that Lieberman's committee chairmanship should be up for another vote at the start of the next Congress. Of course, Harkin has been hawkish about Lieberman for some time. The real change will come when Reid starts saying this sort of thing. P.S. Josh Marshall is expressing surprise over Lieberman's comments that he's planning to run in 2012. But I think Lieberman pretty much has to say at this point that he's planning to run in '12, since he doesn't want to be a lame duck for 3+ years. I still think the odds are pretty favorable that this will be his last term in the Senate.